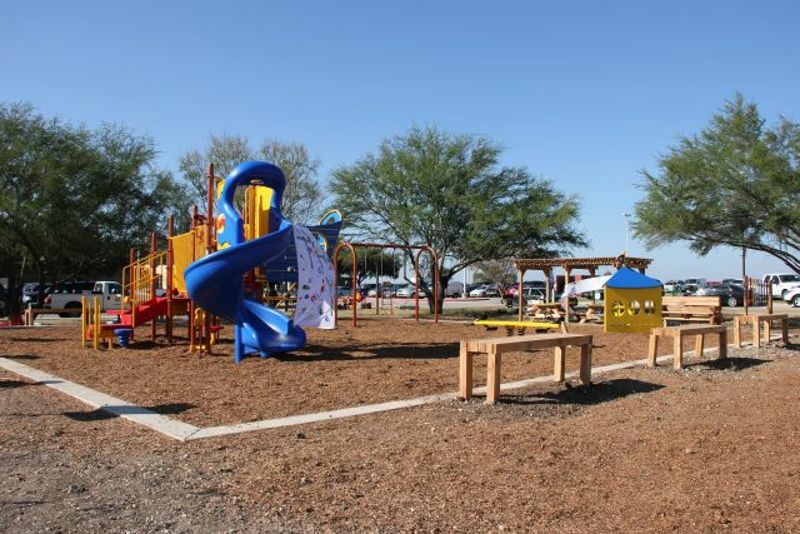 Mission del Lago residents enjoy two parks and playgrounds on property, Jim Mattox Park and Julian C Gallardo Elementary school playground and fields. Originally opened in November 2011, Jim Mattox Park was a community labor of love. In 2013, volunteers from the community, the McDonald’s Foundation and non-profit KaBOOM! Joined together to install a 2,500 square foot playground that has become a favorite gathering place for the families of Mission del Lago, located just behind the golf clubhouse. The park is also a trail head for the expanded Medina River Trail. Named to honor Texas’ 47th Attorney General, Jim Mattox Park also commemorates the visionary who founded and initially developed Mission del Lago. The park also includes a tennis court, picnic tables and grills for community gatherings. Located at the elementary school at the front of Mission del Lago, Julian C Gallardo Elementary School welcomes nearly 600 children through its doors each year. After school hours, this shaded playground and playing fields are enjoyed by all Mission del Lago residents.